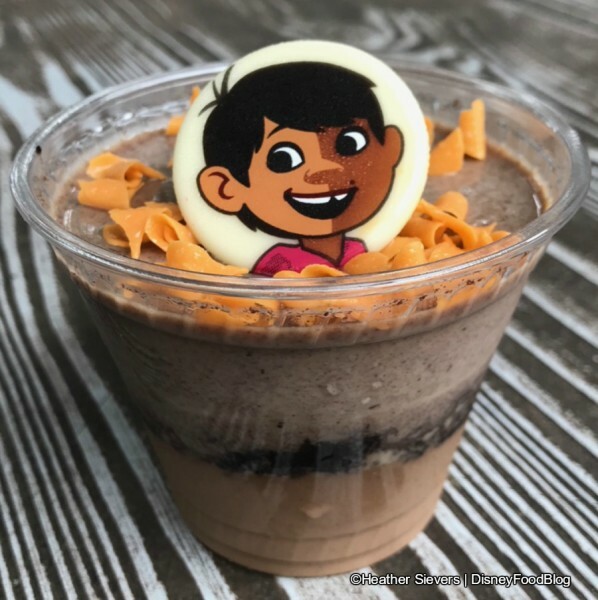 You already know that Pixar Fest is the place for classic Disneyland Resort snacks with a twist — like many, many versions of the churro and some loaded funnel cakes (like this one inspired by Toy Story). Guests joining the friendship party can also grab a full and fun meal at Carnation Cafe, where retro eats like a Fried Bologna Sandwich are satisfying the need for some old-fashioned fun. 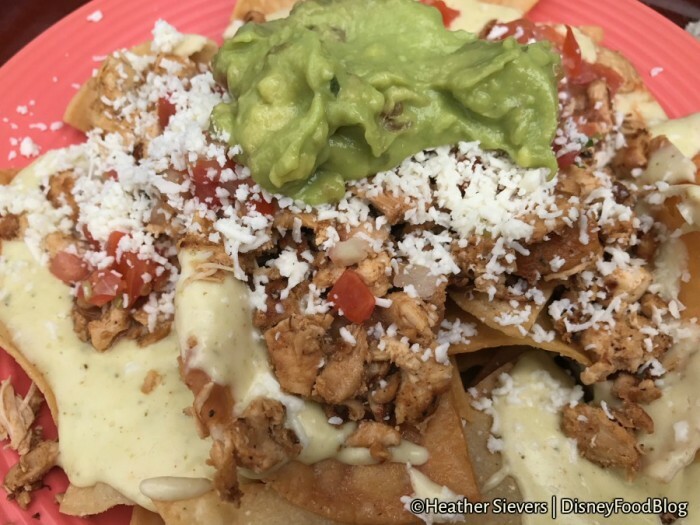 And who can forget the Remy-approved three-course meal at Cafe Orleans? 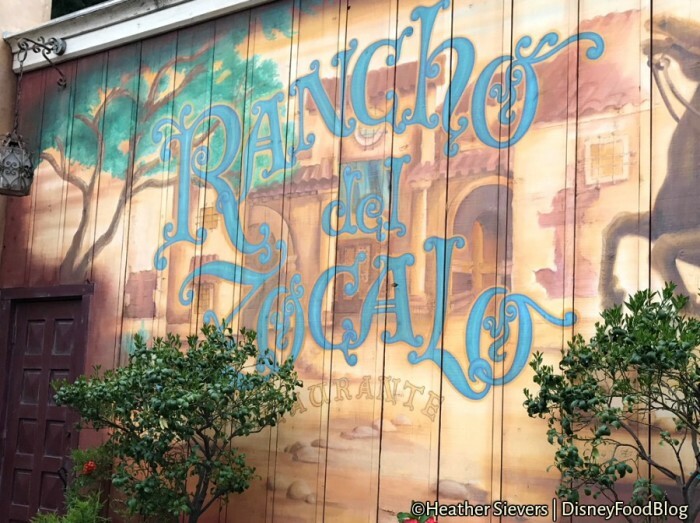 But if you’re in the mood for a meal with a little more spice, get yourself to Frontierland and check out the Coco-inspired menu at Rancho del Zocalo. 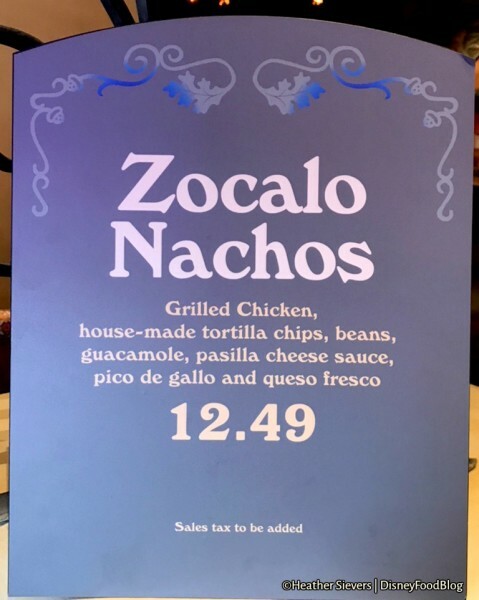 The offerings at this fast casual joint are always inspired by the foods of Mexico and South America, and now they’ve added two Pixar Fest-specific eats that are dynamite! 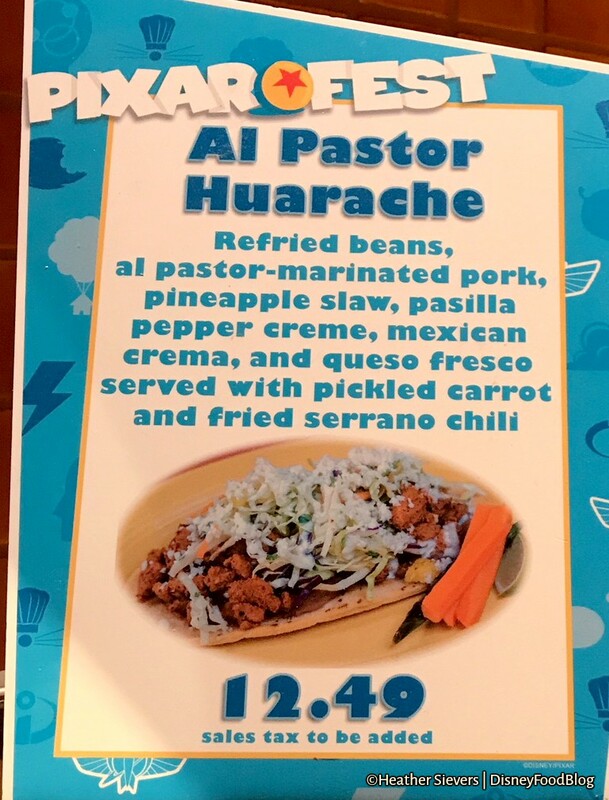 First up: Al Pastor Huarache. This delightfully busy plate of food begins with a base of Refried Beans and is topped with Al Pastor-Marinated Pork, Pineapple Slaw, Pasilla Crema, and Queso Fresco. On the side are some Pickled Carrots and a Fried Serrano Chili. 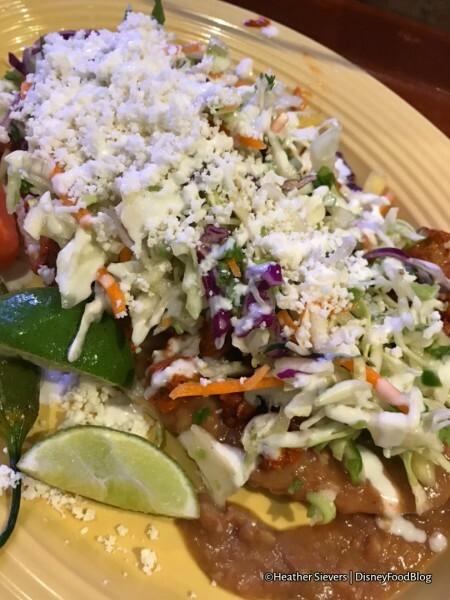 Even with all of the flavors and colors in this dish, the real star is the wonderfully-seasoned pork, which isn’t hot spicy but is flavor spicy. 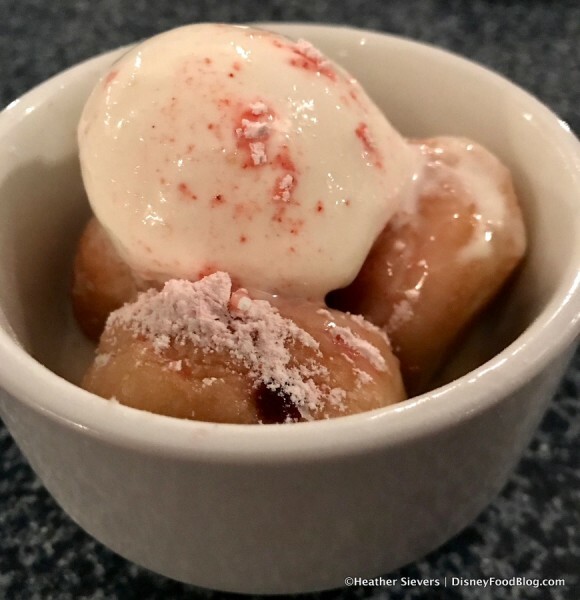 We couldn’t get enough of it! 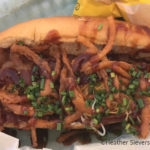 Combined with the sweet pineapple slaw, it totally rocked! So, so, so good! 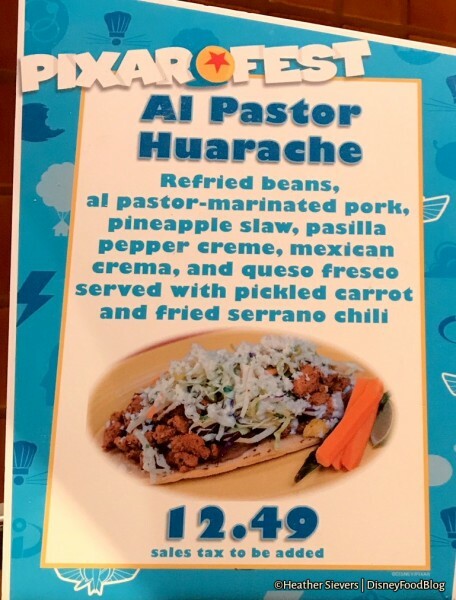 Al Pastor Huarache is now at the top of our must-eat Pixar Fest list! Seriously! 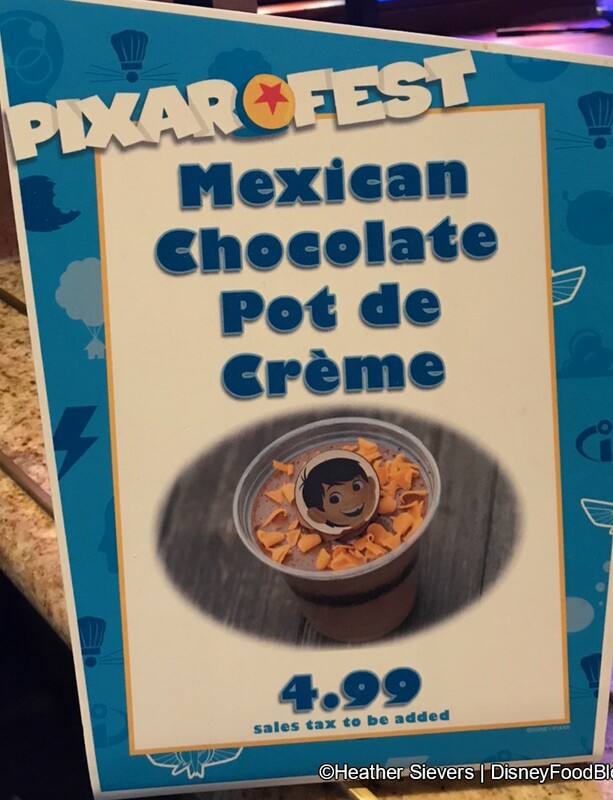 The second Pixar Fest offering is of the sweet persuasion (and thus requires no persuasion at all to get us on board): Mexican Chocolate Pot de Creme. This layered dessert is creamy and very subtly spiced, with the emphasis clearly on the chocolate (oh — and on Miguel’s adorable, gap-toothed face!). 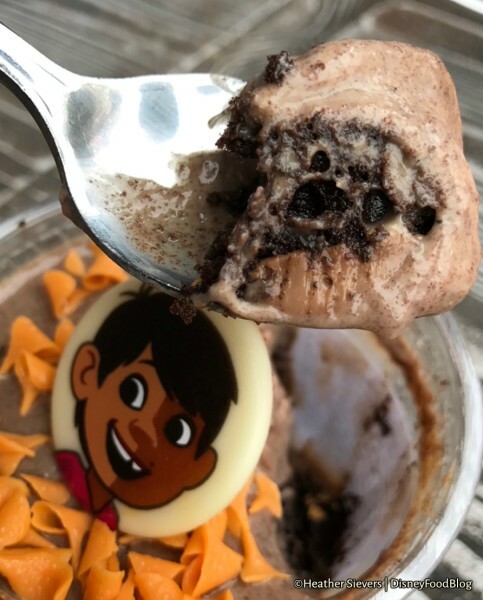 Essentially this is a Chocolate Custard topped with Crushed Oreos topped with a Cookies-and-Cream Custard. 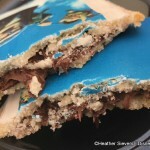 The slightly soggy texture of the cookies is actually really nice, providing a little bite to the otherwise thoroughly creamy treat. While we were already at Rancho del Zocalo, we also grabbed an order of Zocalo Nachos, which are new to the menu. 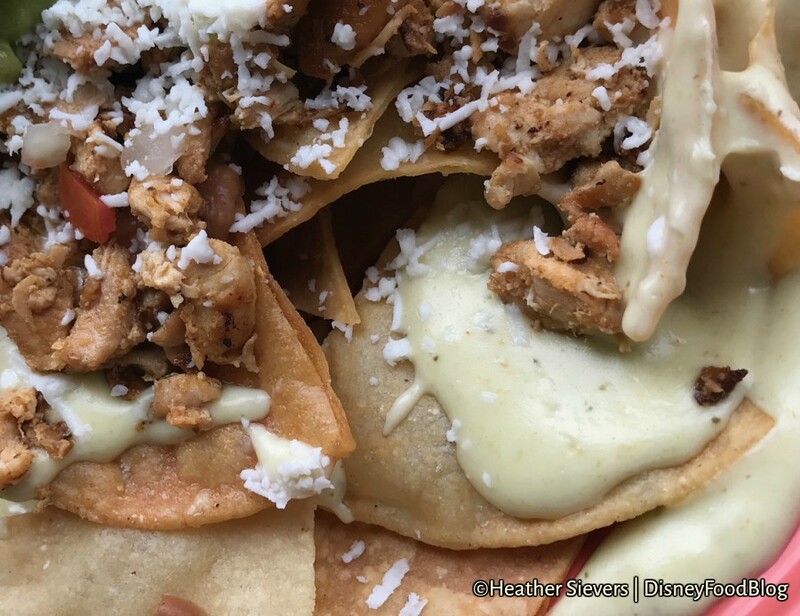 These are dynamite! The classic messy snack is comprised of Grilled Chicken, House-Made Tortilla Chips, Beans, Guac, Pico de Gallo, and Queso — and has epically leveled up thanks to a killer Pasilla Cheese Sauce! The sauce is out of this world. 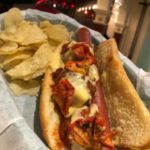 So much flavor, a little bit of spice, and thankfully tons of it! The other components are tasty, too, but without the sauce? These would still be good but not outstanding. 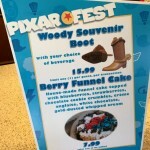 You can find ALL THE FOOD at Pixar Fest by using our Printable Pixar Fest Food Checklist! 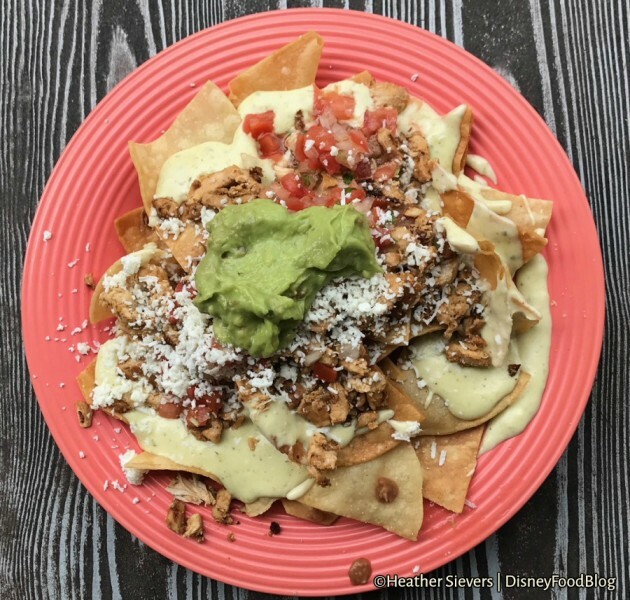 And find more year-round Disneyland food fun here! 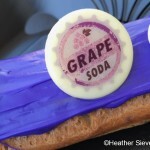 « The Best Disney Donuts EVER. The Mexican food looks delicious!